A seven-seat electric taxi was awarded Most Economic & Environment Friendly Multi-Purpose Electric Vehicle at the Royal Automobile Club's (RAC) Future Car Challenge. 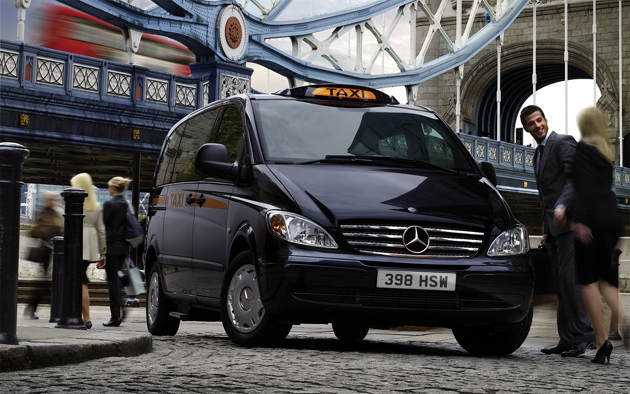 The Mercedes Electric Vito (eVito) Taxi, which was a collaboration between Mercedes Benz, Zytek Automotive, and Valence, is powered by Valence batteries. The challenge was to produce a concept of a pollution-free fleet vehicle that could be used as taxis during the Olympic games. The eVito beat out 59 other vehicles by finishing the 57-mile run with about 30 percent of its battery capacity remaining. "We're very gratified that the eVito outperformed its competition in the challenge, which we hope will further raise awareness of the bright future Valence is enabling for electric fleets," said Robert L. Kanode, president and chief executive officer of Valence Technology. TAXIS and luxury sports are perfect laboratories for development of new systems for storing electricity. TAXIS, by the ease of recharging, during the work journey. Luxury sport cars, by adopting more advanced technologies, wich have not yet reached viability for mass production.